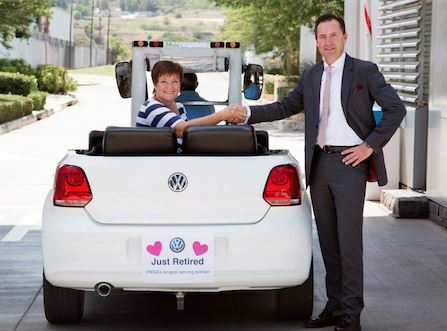 Julia Potgieter has been congratulated by VWSA for her 47 year commitment to the company and will soon be enjoying her free time and lazy mornings at home. The current longest serving employee and the longest serving woman in the SA office of the automaker. Having started at the brand in 1969, a special tea was recently held in her honour where she was able to reminisce with VWSA Chairman and MD,Thomas Schaefer, about her years of service in the company all of which were spent in the finance division.